Catskill Cutting Boards are friendly to more than just the environment, though. They’re also friendly to your knives! Wood doesn’t dull your blades, which is why all the best chopping boards are made from wood. If you’re serious about cooking, you’ll want to look after your knives…make sure your kitchen’s got a Catskill Cutting Board! 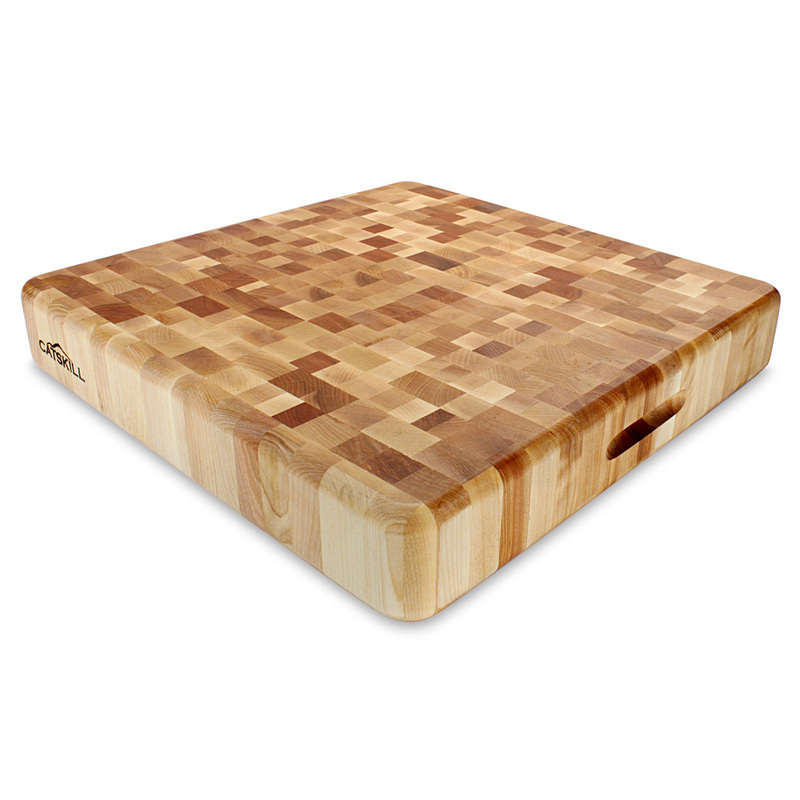 Bigger is better with the The Slab Square End Grain Cutting Board from Catskill! This seriously jumbo board is not for the faint-hearted—but it certainly is for people who are after a large, tough-as-nails work surface that will stand the test of time. Plus it has a fantastic end grain checkerboard design that will look great on your kitchen bench too. What’s not to love? Made in America from solid birchwood, responsibly harvested from a non-endangered, self-sustaining source. Oil finish makes Catskill Cutting Boards easy to care for. Requires occasional oiling to maintain its appearance. Stylish end grain checkerboard design. Features recessed handles on the two sides. Dimensions: 46cm (l) x 7.5cm (h) x 46cm (w).